Ron has a diverse professional background. He is a Juilliard trained classical trumpeter and a former member of the National Symphony of Washington, D.C. He holds a degree in electrical engineering from the University of California, Santa Barbara, and has worked as a project engineer for the General Motors Corporation. He holds an M.A. in Counseling Psychology from the Alfred Adler Graduate School in Minnesota, and has worked as a Licensed Psychologist-Master in Minnesota and Vermont. Presently Ron is in private practice in Montpelier, Vermont. He is a state licensed Psychologist-Master with a specialty in the reduction of performance anxiety. Background Drawing from his three professional disciplines, Ron has developed a performance psychology, Masterful Life-Performance, which can be applied to a wide variety of life-performance challenges to invite peak performance. Examples include: stage performance, creative writing, athletics, music performance, test challenges, speech presentation, preparation for surgery, and artistic expression of all types. 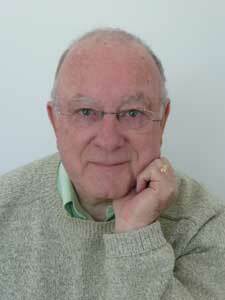 Ron offers psychotherapy, working with older adolescents and adults. He also offers trainings(face-to-face and by telephone) for individuals and organizations.